Do You Only Like Straight Guys? I find that I'm only attracted to straight men. All my major crushes or infatuations have been on straight men. I usually end up dating men that I don't particularly like just to keep my mind off the guys I am attracted to. Sometimes I wonder maybe the guys I like are actually gay and just in the closet or in denial, but it seems too much to hope for. Right now, I can't get my mind off my (female) best friend's boyfriend. I've liked him since before they started dating. That's also a problem because I work with her, him, and his best friends. If I were to come clean to any one of them, it would make our working and personal relationships intensely awkward. I find myself making fun of him in some strange schoolyard ritual to prove to others that I have no attraction to him. What can I do? How can I stop being immediately drawn to guys that I can never have? I'm considering a job offer in another state just to escape this situation. I'll admit, some straight guys have a certain swagger about them. Personally, I wouldn't care how many times David Beckham or Nas said no ... but they are just fantasy men on my "who would you..." playlist. From the read of it, you've let your imagination get the best of you. You're not just fantasizing about the straight boys. Your desires have influenced the way you date and see other men. You're playing the Powerball of dating, hoping that in some low odd chance, a straight guy will want to hit the showers with you after a day on the courts. The possibility does exist, but the odds aren't good. First, it reads like you've already discounted every other gay man out there. There are plenty of single gay and true bi men who are "straighter" than some straight boys I know -- however you define "straight" these days. Let's just say you wouldn't be able to pick them out of a lineup at Home Depot or in the stands at a Spartans game. By dating just any gay boy that comes along, you can avoid having to search for the one that actually fits your needs. Rest assured, you're not the first to enjoy the chase of the nearly impossible more than the actual catch. Something tells me that even if your straight guy wanted you, you'd move on to the next target as soon as he said: "rub my back." It is about attaining the impossible, right? If I were you, I'd take time to examine where these needs are based. For goodness sake, you're considering moving to avoid a run-in with your best friend's boyfriend whom you don't even know is gay. 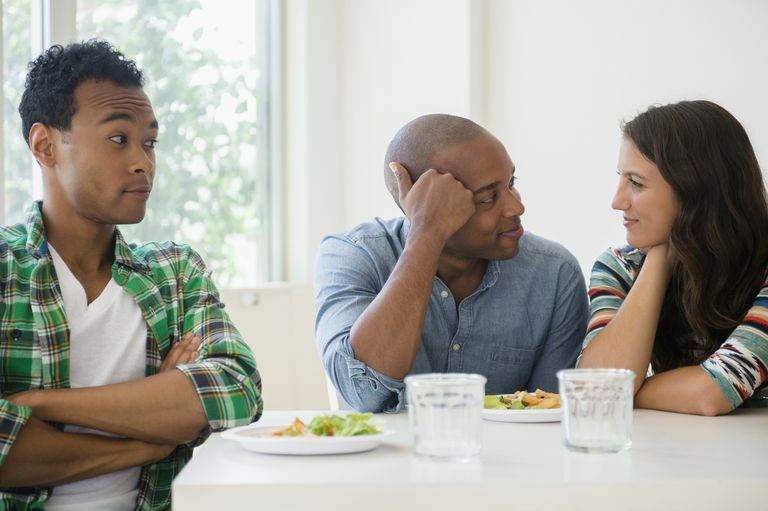 You're very much aware that your best friend's man is off limits, even if he is inclined to order a side dish or two. There are underlining boundary issues going on here that no U-Haul can solve. You're avoiding something in your playbook of the impossible.